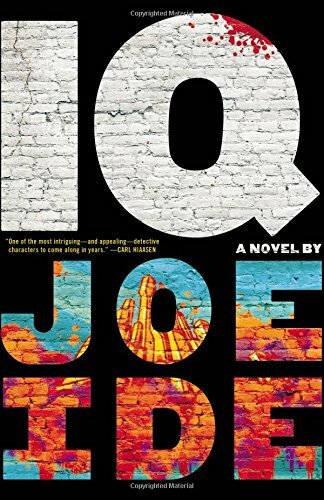 After finishing the last page of IQ, I immediately looked to see if Joe Ide is working on a follow-up. No news yet (that I could find anyway), but after an Epilogue like that, if there isn’t a second book coming there’s no justice in the world. I was blown away by the quality of this one, especially so considering it’s Ide’s debut. His author bio mentions his fascination with Sherlock Holmes stories when he was a kid, and the connections between those classic detective stories and the book he’s chosen to write are clear. Except Ide’s detective, Isaiah Quintabe, grew up in East Long Beach and isn’t really the earflap hat and tobacco pipe type. What he is is deeply principled and a master of inductive reasoning. I’m not much for series, whether it’s books or TV, but if you want to make me a loyal fan for life, give me a detective character who is this compelling. IQ is quiet, thoughtful, but not shy, not afraid of his tough surroundings. He won’t be bullied or intimidated. He is measured and careful, but he also carries a reserve of rage just under the surface, and very, very occasionally, it boils over. He also has a back story that I can’t WAIT to see further explored in future installments. When I do get really into a crime series, I’m not showing up because I can’t wait to see what the next case will be. I’m in it because I’m invested in the detective and want to see how their character arc develops, and IQ is the kind of character an author could get a lot of mileage out of. Other favorites include Jo Nesbo’s Harry Hole book series, the Longmire TV series on Netflix (I’m almost afraid to read the books because the show is that good, I know, what kind of reader am I? ), and an oldie but goodie, Kyra Sedgwick as The Closer. Her giant handbags inspired me to proudly carry my own oversize suitcase-purse to work. So yes, sign me up for the official IQ fan club. I’m hooked. With regards to Mulholland Books and NetGalley for the advance copy. On sale now! TagsAbandonment Issues, Amateur Sleuths, Mind Games, Seeking Atonement, Urban Dwellers, You Think Your Childhood Was Screwed Up?